I have written a book about the support that doulas offer families. It was written with parents in mind – a little bit of doula in your pocket, so to speak, but I am told it is useful for doulas, midwives and anyone interested in maternity care to learn more about the role doulas play in those early weeks and months of parenthood. 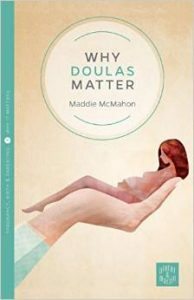 It is called Why Doulas Matter and is part of a series of books around the subject of childbirth and parenting, published by Pinter & Martin. I am truly honoured and humbled to be in the same stable of authors as Michel Odent and Sheila Kitzinger! If you read it, I would be immensely grateful if you could leave a review on one of those sites – I LOVE to hear what people think! 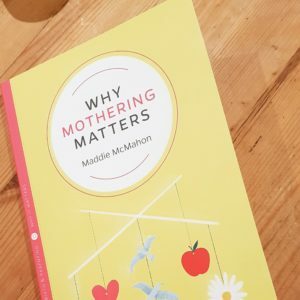 And 2018 saw the publication of my second book in the Why It Matters series, Why Mothering Matters. This is my hymn to mothers and to the act of mothering. It is also a call for an end to the neglect and discrimination of mothers and an exploration of the experience of becoming a mother, not just in the UK but worldwide. I hope it helps women understand what is happening inside themselves as they enter into parenthood and empowers them to seek the support they deserve as they go along.